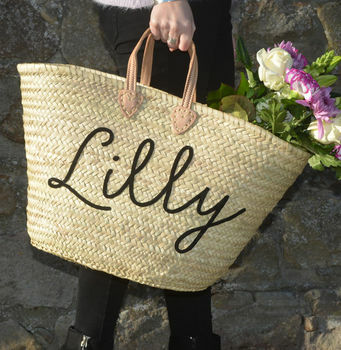 Giving a personalised gift for a friend on a milestone birthday or as a thank you or to celebrate a special occasion just makes it that little bit special, so from an exquisite piece of jewellery to a fun dressing gown make someone’s day with a personalised present. Timeless personalised gold trio pendant by Ghazal, designed and hand made in her Yorkshire studios. This stunning necklace can be created with as many or as few yellow or gold hoops as you like and in any combination of golds. Each gold hoop is carefully hand punched with text of your choice .Go for an extra touch of sparkle by adding a diamonds to your hoops (they can add other stones too, just ask!) 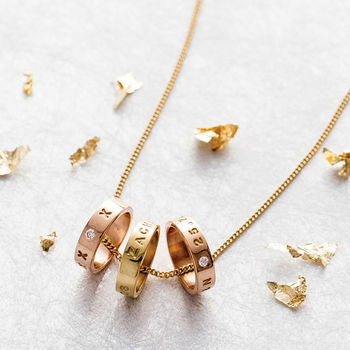 Simply choose how many hoops you would like, what carat gold and then provide the text for each one. The necklace comes with one 9ct gold hoop, additional ones then need to be added to your shopping cart. Silver, rose or gold, personalised, engraved bangle. 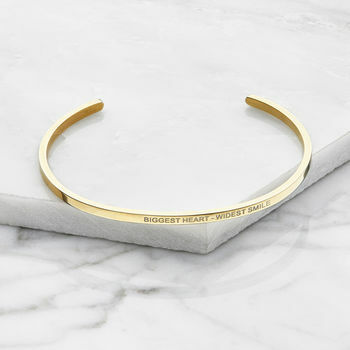 This solid personalised gold, silver or rose gold bangle is the perfect piece of jewellery to be worn every day. A sentimental gift for any woman. Crafted in London, it can be laser engraved to add a letter, special date, name or secret message on the front and inside. We laser engrave our bangle bracelets for depth and ultra precision, lasting a lifetime. 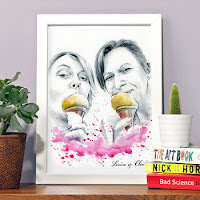 Unique hand painted portrait of you and your best friend! Hand drawn and hand painted, this beautiful and fun friends portrait makes a perfect thoughtful gift for a birthday or any occasion. I will illustrate them with graphite, charcoal and pastels and then finish it off with a vibrant watercolour splashes. 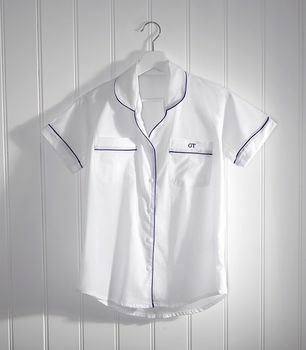 Beautiful Classic Cotton Pyjamas- that can be personalised with your name or initials, these beautiful pyjama's are made from 100% cotton with the personalisation embroidered onto the top right pocket with your chosen initials or name. They make a perfect gift for yourself or a special birthday present. 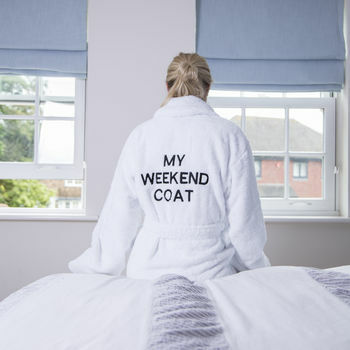 This luxury cotton, shawl collar bathrobe is made from soft and thick 550gsm cotton with multi stitching on both the hip pockets and matching belt. It can be used as cosy everyday loungewear or to dry yourself off due it it's absorbent, towelling material. Wrap yourself up and experience the sheer luxury. 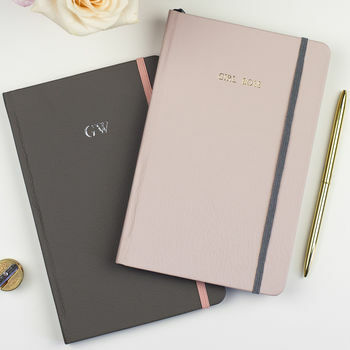 A gift for the list-makers and note-takers- designed to be personalised for a pretty yet oh-so practical gift.